Born in Sessa, Aruna, Province of Casera, Italy, Anthony “Tony” Rafaniello came to Bristol in 1912 at age 20. 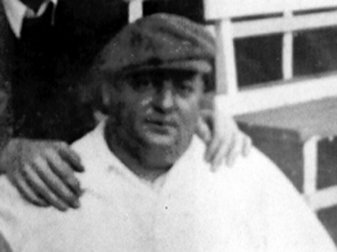 He served the City of Bristol as caretaker of Muzzy Field from 1920 to the time he passed away on December 16, 1959. During this span of 39 years, events of a diverse nature kept his West Side baliwick teeming with activity as stacks of applications by individuals and groups wanting to use the Muzzy Field facility for different events swamped the Park Board Office. He held vandalism down to a minimum and kept a close eye on the management and security of the surrounding fences. When Rafaniello died, the City of Bristol, out of respect for his work and reputation, flew the flags at half staff.